PRICE REDUCED!! 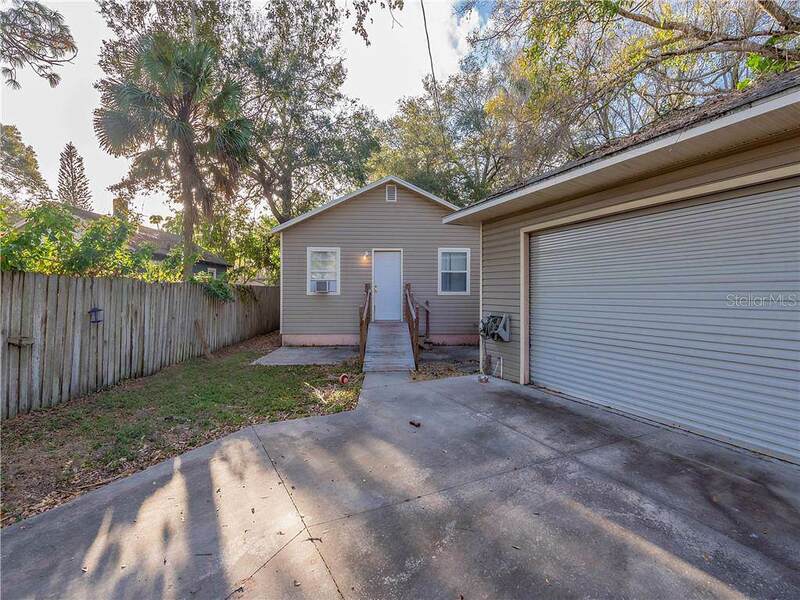 An amazing opportunity to purchase a great rental or starter home with a large detached garage, workshop, or artist studio area with back alley access! 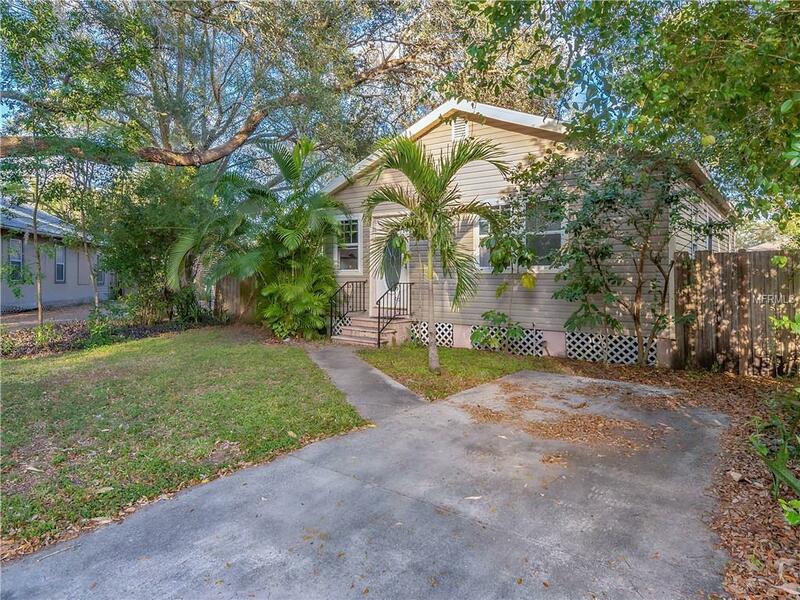 This outstanding and unique property, currently tenant occupied, features charm and appeal with an expansive oak canopy on a quiet corner in St Petersburg. 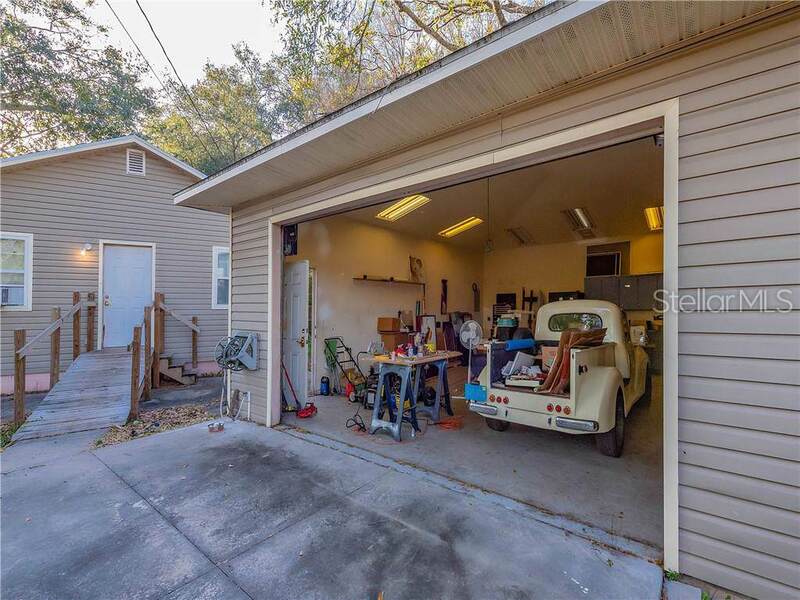 Has two bedrooms, two bathrooms, a entryway/foyer, inside washer and dryer hookup, and 672 square foot garage workspace with an automatic gate that you access via the alleyway. 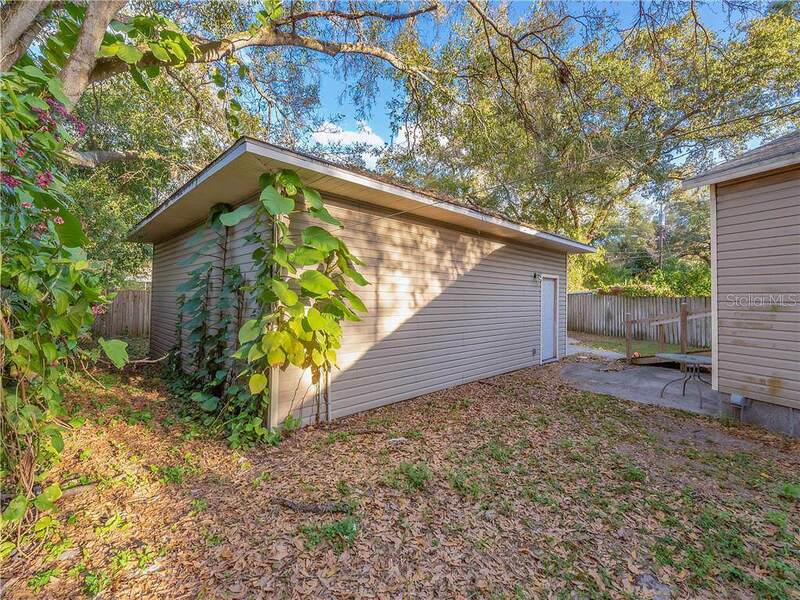 You'll also be able to relax on the back patio and soak in the solemn sounds of St Petersburg! Please do not disturb tenant. Buyers to verify all measurements and information.